Cloud hosted service has been continuously growing in popularity because of its convenient functionality. It is a network of servers in multiple locations, which share resources. The idea behind the launch of the cloud server is to reduce website load time and increase performance. Another advantage of cloud web hosting is that it provides better scalability options comparatively. As the demand rises, businesses can easily (in just a few clicks) scale their plans up. Nowadays, along with the corporate giants, mid-sized businesses have started showing interests in cloud hosted service. Perhaps, this is the reason there is no dearth of good cloud hosting providers in the market today. You may find some good ones here: https://hosting.review/best-cloud-hosting/. Seeing the increasing demand for cloud services, many renowned hosting providers have added cloud hosting in their services. If you’re planning to buy a hosting service and interested in knowing about cloud hosted service, you must read this post till the end. It will guide you on who should use cloud hosting and what are its benefits and drawbacks. Let’s start this post with knowing the market size of cloud hosting. 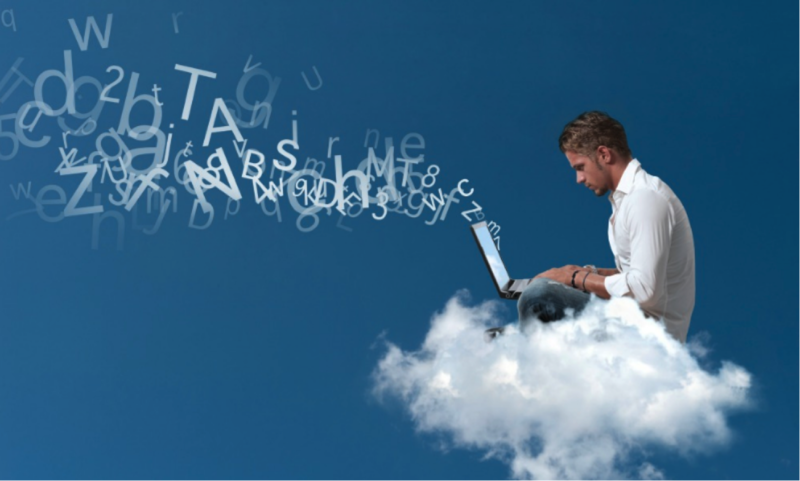 In the past few years, the demand for cloud service has grown dramatically. According to a research conducted by Gartner, cloud computing is gaining popularity across different industries such as insurance, banking, government, etc. for basic business support. And hosting industry is no exception. According to Statista, a market research and business intelligence portal, in 2019, the market size of cloud hosting and computing service is expected to reach 136.22 billion U.S. dollars. By 2020, it is predicted to reach 156.4 billion U.S. dollars. In the web hosting industry, cloud-hosted service is the current buzzword. However, it is not an ideal choice for everyone for plenty of reasons. The following section will make you familiar with some pros and cons of cloud hosting so that you can decide whether or not you should go for it. More than 40% of users tend to leave a website which does not load in 3 seconds or less. Even Google takes page load time into consideration when assigning a page rank to a website in the search engine results. By upgrading to cloud-hosted service, you can decrease page-loading time to a great extent. The reason is most of the cloud hosting providers integrate CDN (Content Delivery Network) and caching servers that boost the speed of your site. It is one of the most noteworthy benefits of cloud hosting. When you opt for cloud servers, you get instant scalability of resources. If you’re following the right marketing strategy for your site that includes SEO, Content Marketing, Paid Marketing, etc. you may experience sudden traffic spikes anytime. Comparatively, Cloud server is better prepared for it. You can add RAM, CPU to your hosting plan with the click of a button and serve your audience perfectly. Every webmaster expects their website to be available 24 hours, all seven days of the week. Reputable cloud hosting providers deploy a state-of-the-art data center and prioritize stability and security. The providers having the latest networking switches, HVAC Systems, and hardware usually offer an uptime guarantee of up to 99.99%. In spite of advantages that you can reap from cloud hosted service, you should be aware of some of its disadvantages, issues, and risks. There is no doubt about it that data stored on a cloud server can be accessed anytime and from anywhere, you should know that technology is often subjected to outages and technical issues. Although cloud-hosted service is becoming a popular web hosting method, many people have a security concern. When you store your data in the cloud, you depend upon a 3rd party to safeguard that data. It means the information can be vulnerable to unauthorized users and hackers. Therefore, you should look for a cloud hosting provider that takes great measure to ensure that your data is safe with high-security encryption and password protection. Sometimes, users may have to deal with possible downtime. Even some renowned hosting providers are unable to avoid it. As cloud hosting depends on a network of servers that further depends on the internet to work. It means if there is an issue with the internet connection, users may find downtime with cloud servers. Cloud hosting is seen as a better option than most hosting options due to its ability to handle a large amount of traffic and its reliability. But these extra features come at an extra cost. If you are planning to grow your website or need a website with a high-performance rate then cloud hosting might be a good option for you. On the other hand, if you are just starting out or building a website that will have a limited amount of data, you may go with an option like shared hosting. Cloud hosted service has been offered by a number of hosting providers. Some of them are not trustworthy. Therefore, you should choose carefully. Make sure your potential provider has invested in state-of-the-art hardware such as Xeon CPUs, SSD Storage, hyper-converged, etc. A technical issue may arrive anytime. So, choose a hosting provider that offers 24/7 technical support via different mediums. Go with a company which takes care of security and compliance seriously. There are a number of security measures that a cloud hosted service company should follow such as botnet protection, web filtering, firewalls, intrusion, etc. At the present time, the concept of cloud hosted service is taking over the world. It is becoming more and more popular with the passage of time. If you want to launch a big website, you may reap huge benefits out of it.